In the release, the company said this marks a significant milestone in the project’s development and further demonstrates Ukraine governmental support for the mine to be constructed. 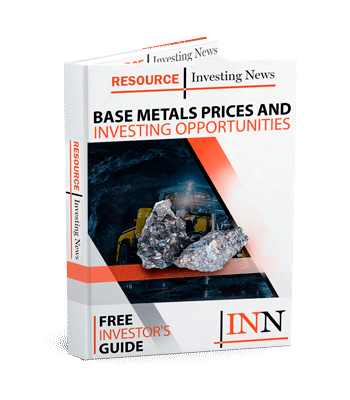 Black Iron (TSX:BKI) management have announced that the company has received a formal proposal from Ukraine’s government to lease to the company a plot of land connected to the company’s Shymanivske iron ore body for the location of the project’s processing plant, tailings and waste rock. In the release, the company said this marks a significant milestone in the project’s development and further demonstrates Ukraine governmental support for the mine to be constructed. The Shymanivske deposit is 330 km southeast of Kiev in central Ukraine. The parcel of land being proposed is owned by Ukraine’s central government and is currently being used by the Ministry of Defence (MOD) for training purposes. The land is similar in size and to the layout used in the company’s November 2017 PEA for location of the processing plant but differs for the tailings and waste rock stockpile locations by being located further to the south. Black Iron management is currently analyzing the suitability of this land from a social and technical standpoint. To secure rights to this land, Black Iron needs to agree on a compensation package with the MOD and Ukraine’s central government that is sensible for all parties. Discussions of this nature have already started with senior government officials including Deputy Prime Minister Kubiv with support from Canada’s Embassy to Ukraine. As part of developing the Project, Black Iron also needs to secure surface rights for its Shymanivske ore body from the Kryvyi Rih City Council who own this land. The City council has offered to lease a portion of this land to Black Iron and the signing of a lease is pending Black Iron finalizing discussions with Ukraine’s central government on the MOD parcel of land, and Black Iron finalizing an agreement with a neighbouring mine, Central Ore Processing (YuGOK), on the previously agreed relocation of their mine service garage. Click here to read the full Black Iron (TSX:BKI) press release.